Quick tip; How to save on your skin toner? - Cherry Colors - Cosmetics Heaven! Quick tip; How to save on your skin toner? I've always been a huge user of toners. I had to buy a new one every 2nd month or even sooner. It didn't matter what kind of toner it was! But then I found out that the reason of it. The cotton pads. Yes! It sounds a bit funny, but if you think of it, I used at least two cotton pads per day and that meant at least 6 pumps per pad ... so lots of liquid!! 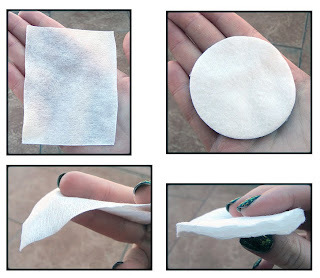 I got myself these cheap thin cotton pads, that come in squares and are very very thin. I got a box of 250 pieces on Ebay for less than $5! I did a small and quick test. I took a pad of each kind and took my toner. I checked how many pumps of the toner are needed to get my pad soaked. Well are you curious? The super thin one needed only 2 pumps to be completely soaked (so it was practically leaking) and the regular round one needed 6 pumps for the same thing!! 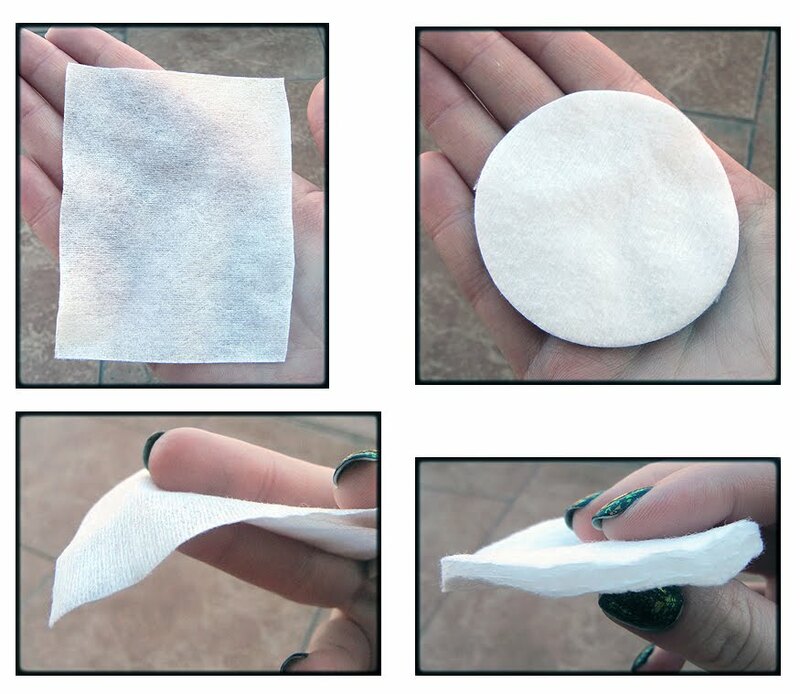 Now think about how much toner you could save while using the super thin cotton pads?